Apple Cider Pills for Weight Loss - A Craze or The Real Deal? There are several supplements in the market that claim to be the best weight loss supplements. However, most of them usually turn up to be gimmicks, only offering minimal or no weight loss benefits. Due to this, it would be understanding why someone would be cautious to trust a supplement that claims to offer several health benefits, including weight loss. But before labeling all weight loss supplements as just a craze, it is a good idea to evaluate whether or not they are the real deal. And with apple cider vinegar pills currently taking the health and weight loss markets by a storm, this brings about the question "Do they really work?" Below is a comprehensive review of this supplement. What Are the Apple Cider Vinegar Pills? Apple cider vinegar pills are natural supplements that are made from apple cider vinegar. The vinegar comes from the fermentation of apples, a process that converts their sugars into alcohol. When this happens, bacteria are added into the alcohol, further fermenting it into acetic acid - the main ingredient in the pills. Apple cider vinegar pills offer a better alternative to consuming the acetic acid (in liquid form) as it has a very unpleasant taste. The acid is also corrosive, and thus can cause erosion of the tooth enamels, not to mention burning the throat. While the main ingredient in the pills is acetic acids, most of them come with additional ingredients to lessen the effects of the acids. They can also include one or more ingredients that help to promote weight loss - after all, most of these pills are designed to be diet pills for losing weight. How Do Apple Cider Vinegar Pill Help You Lose Weight? Studies have found that apple cider vinegar is a great appetite suppressant, especially when it comes to sugar cravings. Acetic acid helps to lower the blood sugar levels in the body by increasing the ability of the livers and muscles to take up sugars. This helps to prevent spikes and drops of the blood sugar content after a meal, which can make you feel fuller faster and for longer, thus reducing food cravings. As a result, you are able to reduce your food consumption, which consequently, leads to a decrease in the calorie intake. The reduced calorie count can help you to lose weight. Studies have shown that apple cider vinegar helps to increase fat burning enzymes, which helps to boost the fat burning process. Acetic acid can also help to increase the genes that are involved in burning fat. Therefore, taking the pills regularly can help to boost the burning of fat in your body, leading to weight loss. Aside from helping to burn more fat, apple cider vinegar can also reduce the amount of fat stored in the body. A study conducted on rats found that acetic acid increases genes that reduce the accumulation of fat in the belly and fat. When combined with the increased fat burning and reduced food cravings, the reduced fat storage helps to promote weight loss. 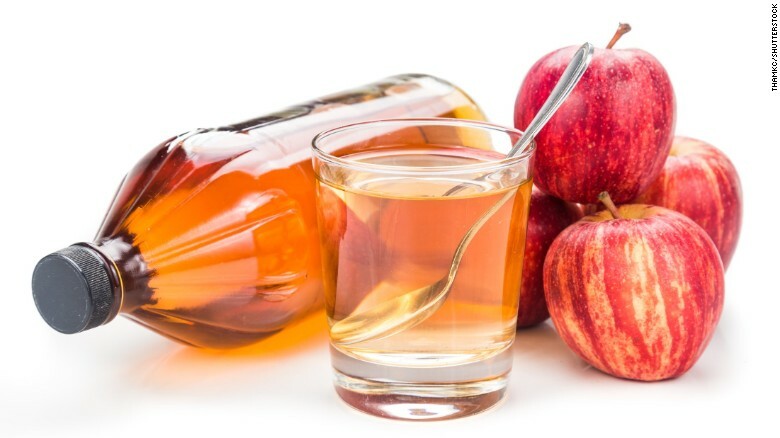 · Reducing cholesterol levels - Apple cider vinegar helps to lower the "bad" cholesterol in the body. This can help to reduce the risk of heart attack or stroke. · Killing harmful pathogens in the body - Acetic acid can also help to kill harmful bacteria and viruses in the body, thus reducing the risk of infections. · Delayed stomach emptying - Acetic acids slow down the rate at which the food leaves the body. While this can help to make you feel fuller for longer, it can also lead to problems such as heartburn, bloating, and nausea. · Interactions with drugs - Acetic acid can interact with some medications. A good example of interactions is with diabetic medication, where consuming the pills can lead to dangerously low blood sugar levels. Apple cider vinegar pills offer several health benefits, including those that promote weight loss. And despite the fact that it has some few side effects, it is still one of the best weight loss supplements found on the market. However, these pills are not magic diet pills that you can just take for instant weight loss. Instead, the weight loss benefits they offer work well when combined with other weight loss techniques such as diet and exercise.